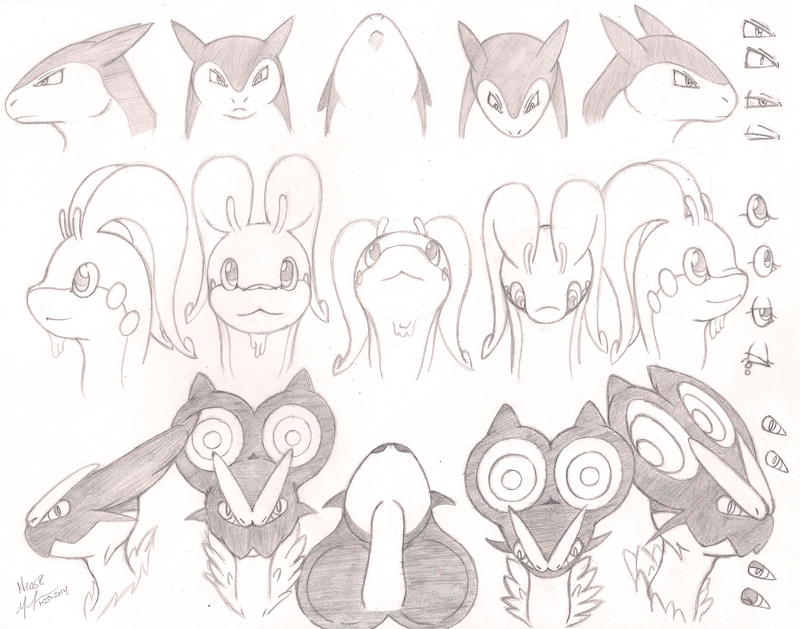 Whoo all of the pokemon head sketches are complete! i have to say they were fun to draw but damn if noivern was a bit of a challenge. his ears were the frustrating but i had to draw them smaller as i needed to make the scanning a bit easier for the other sites to take it like men XP. this request was for Asbel_Lhant on FA.